T-Mobile, the third largest carrier in the US, on Thursday announced that it has expanded its 4G LTE coverage to US military base Guantanamo Bay Naval Base, bringing 4G LTE data and texting to 5,500 active on duty military personnel residing there. This deployment was worked out through a contract with the Navy Exchange Service Command (NEXCOM). 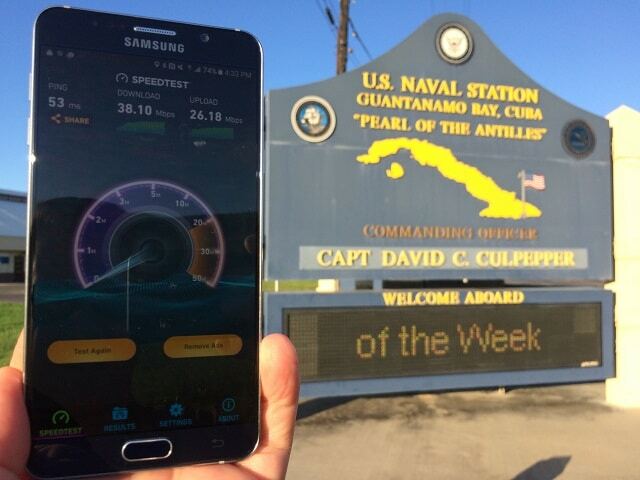 Previously, residents at Naval Station Guantanamo Bay did not have the luxury of data and texting – only cellular voice service – due to previously wireless provider not proving the those to additional services. Now, personnel residing at the location can can enjoy those services thanks to the 11 new cell sites with LTE coverage deployed by T-Mobile.